From the director of Don't Be Afraid of the Dark. This ultra-rare and creepy 1972 made-for-TV tale is a real terror treat. 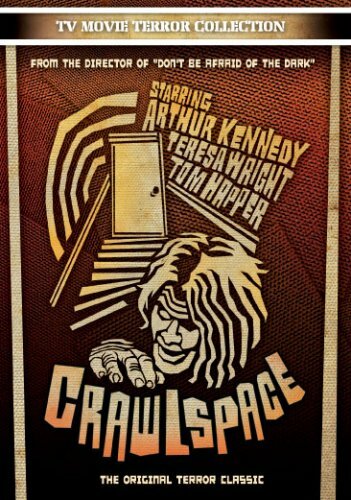 Predating the now classic Bad Ronald (1974) by two years, Crawlspace features a middle-aged couple discovering a young homeless man living in their basement. Their initial fear turns to joy when he proves to be helpful around the house and like the son they never had. But this newfound happiness soon turns to sheer horror when the young man s violent past and appetite to kill surface!